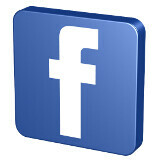 The Facebook client for BlackBerry has been updated to version 3.3. This latest version brings a number of improvements and cool features that will surely be appreciated by BB users. First of all, the application has gotten a visual overhaul with refreshed navigation icons and status publisher. Then comes what's probably the most important new feature (although it largely depends on your own understanding of "importnat"): BBM integration! With Facebook 3.3, BlackBerry users will be able to add BBM friends and start BBM chats directly from the app, and what makes this integration even cooler is that you'll easily be able to see who of your Facebook friends have BBM. The other two improvements include the ability to un-friend people and an enhanced photo viewer. Photos will now first appear in a grid of thumbnails, allowing you to browse them more easily, and then, once you've chosen a photo, you'll be enjoying a higher-resolution view and better performance when switching between shots. All in all, it sounds like a pretty decent update of the app, so we'd advise all the remaining BlackBerry users out there to just go and get their copy of Facebook 3.3! "All the remaining BlackBerry users...." lollll that's hilarious!!!!!!!!!!!! BTW this update sounds pretty koool!